This 4x4 icon came off the production line on August 2, 1973! Why Did You Acquire This Vehicle? The iconic Land Rover Range Rover is a trail-blazing evolution of the utilitarian Land Rovers from the 1960s. 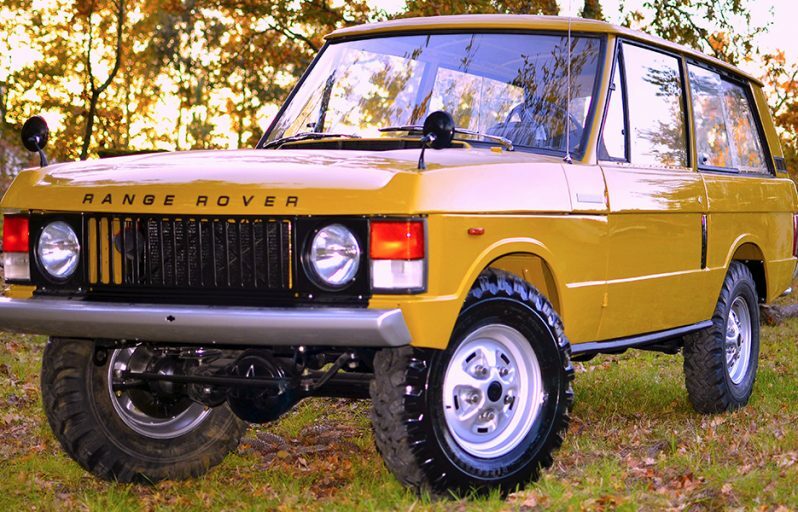 The up-market and refined looks of the Range Rover Classics set a new direction for the car industry when they were introduced in 1970. Legacy Overland’s complete and authentic frame-off restoration of this 4×4 icon is a stunning example of craftsmanship and meticulous attention to detail. 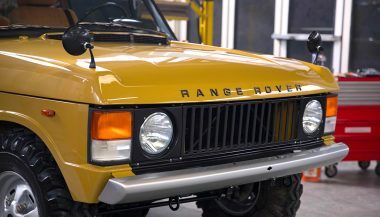 This early left-hand drive 1973 (Suffix B) Range Rover Classic (also known as “vertical grille” Range Rovers due to the distinct vertical orientation of the grille) came off the production line on August 2, 1973. 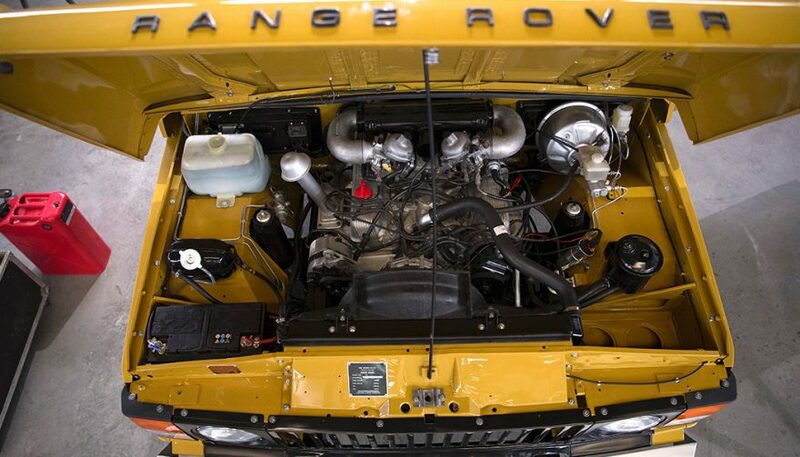 The car was subsequently exported from the UK and delivered to British Leyland, France on August 27, 1973. 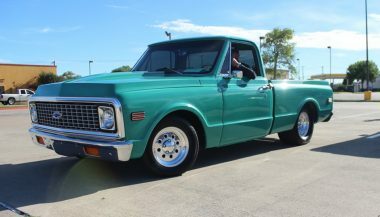 The Legacy Overland restoration is finished in a show-quality Bahama Gold glossy finish exterior with wheels and bumpers in correct silver paint. 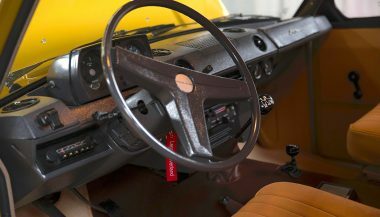 The hand-crafted interior is completely redone with saffron colored velvet cloth seats with classic Palomino trim finishings. 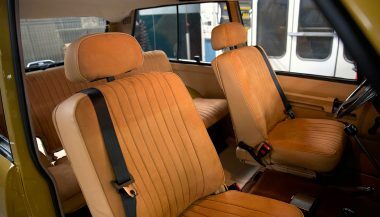 Dash has all new gauges and the floor is finished in brown shag carpet with seat mats. A Grundig Emden 8 Classic radio is installed. 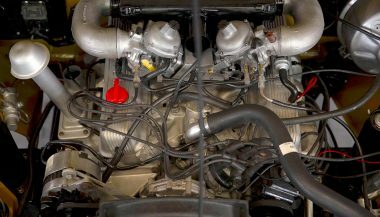 Under the hood of the Range Rover is a 3,532cc V8, developing 135hp at 5,000rpm, with 186 lb ft of torque at 2,500rpm, supported by a fully overhauled chassis and suspension system. Body, chassis and components were thoroughly media blasted, coated and finished with multiple rounds of alternating paint and wet sanding. This Range Rover is finished in a show-quality Bahama Gold glossy finish exterior with wheels and bumpers in correct silver paint. 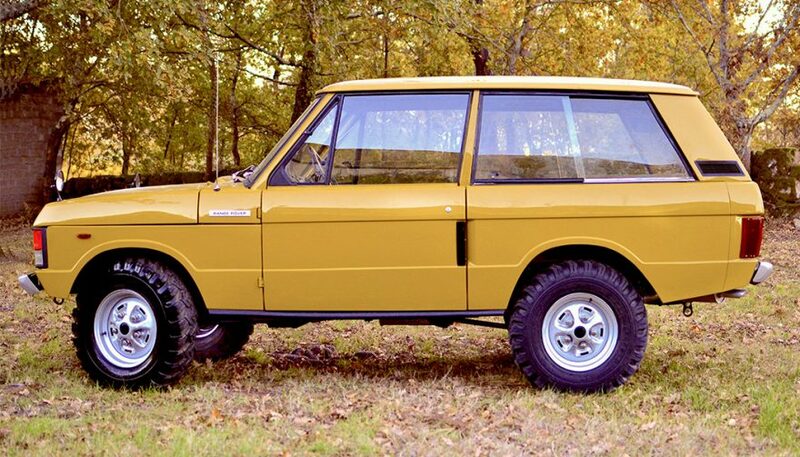 No effort was spared in creating this fully documented restoration of a true classic vintage off-roader. 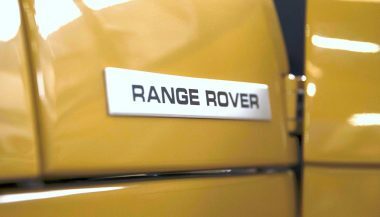 The appeal of Land Rover’s flagship model has grown and grown, and the words ‘Suffix A’ are on the minds of everybody who knows what’s what about Land Rovers. However, Land Rover moved to Suffix B for a reason; Suffix-A models had some flaws. 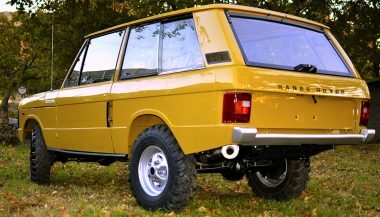 From January 1973, improvements were added and the final letter of Range Rovers’ chassis numbers became B. 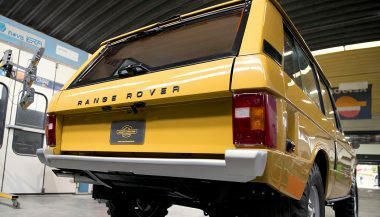 That lasted for roughly 10 months, and then it was changed to C, when even more upgrades were made – which makes the Suffix B Range Rovers quite rare. Rooted in the mists of the 1970s, Legacy Overland is the culmination of decades of dreaming, obsessing, perfecting and passionate pursuit of living life better. From riding at the back of Land Cruisers as young wishing to capture the feeling of past, but with the refined expectations of maturity, Legacy Overland is founded on the will to create beautiful things. We love to take a cool vintage machine and turn it into a new classic, breathing life back to it – a true new vintage classic. Our obsession with build quality and meticulous craftsmanship blends with our fondness of aesthetics in every car we restore, be it a Toyota Land Cruiser, Range Rover Classic, Land Rover Defender, or Mercedes G-Wagen. 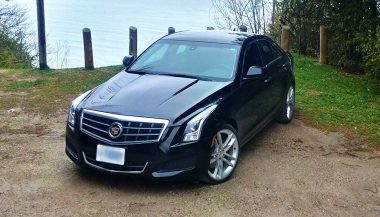 Our team comprises of craftsmen and tradesmen that deal in the finest materials and highest standards; we do Italian leather, not vinyl. From our leather craftsmen and upholsterers, to our experienced master mechanics and body shoppers, we all focus on bringing our clients a true classic ready for the 21st century. 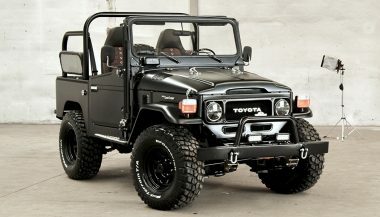 This 1985 Toyota Land Cruiser combines the classic looks of the Land Cruiser in a modern package, this build has had a comprehensive restoration process!